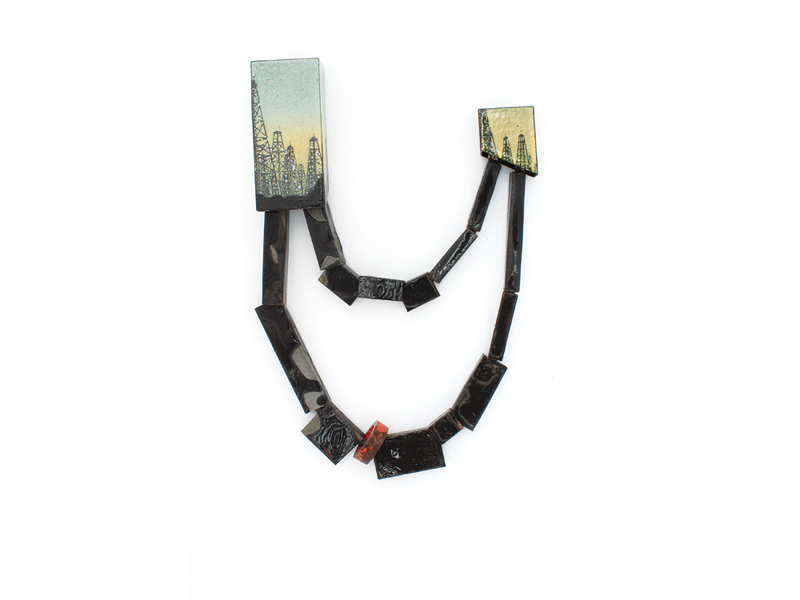 “Kat Cole restructures discarded tins into a variety of wearable art that is fun as well as sophisticated – reminiscent of cities and landscapes,” Karen Lorene says. Cole has moved around a lot, and as the view outside her window has changed, so has her work. One thing stays consistent, however: the interplay of architectural forms and distressed surfaces. 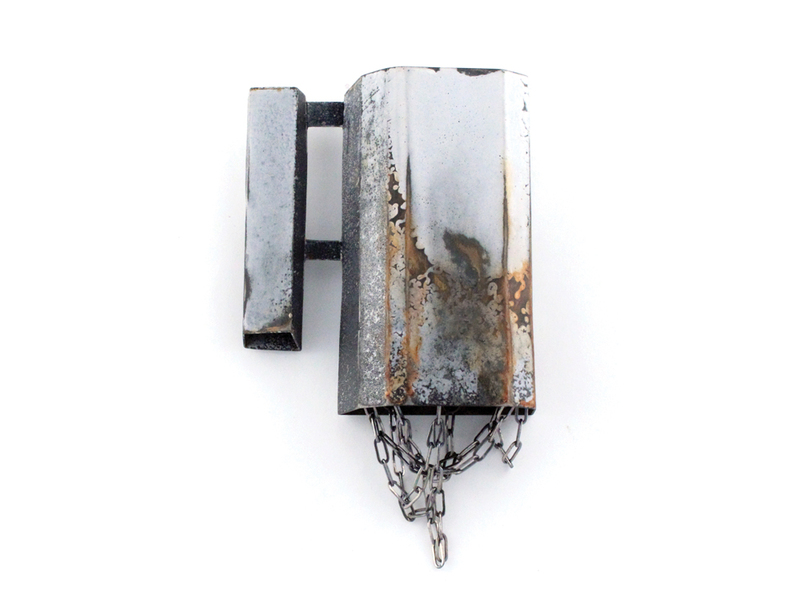 Why she makes jewelry: I love the juxtaposition of angular shapes and weathered surfaces against the organic landscape of the body. I think of it as a similar relationship that built structures have to the natural landscape. What makes her work unique: Texas is the eighth state I have lived in as an adult. With each move, I have used the new environment to dictate the direction of my work. Her biggest challenge: Combining steel and enamel can be a complex process, and I am always pushing the work into new forms and techniques. Her biggest reward: The lightbulb moment when you realize something new about the work. It’s a rush when you have been working with a process or idea for a while, but then you turn a corner and you understand what you have been doing in a new way. Her artistic influences: Helen Carnac was a huge influence on my work early on. She was one of my first enameling instructors and gave me permission to break the rules and try everything with enamel. Robert Ebendorf, as well: He encourages his students to find joy at the bench. What she’s working on now: A new body of work focused on Texas called Oil & Water.